Even easier "to arrive at the Rally of Sardinia Bike from 16 to 21 June 2019 using the agreements stipulated by the organization with the shipping companies Grimaldi Lines and Moby-Tirrenia Cin. Take advantage of the REDUCTION! Take advantage of the REDUCTION! 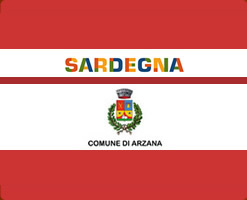 Experience the most authentic and unspoiled Sardinia, running the International Mountain Bike Rally di Sardegna that is to take place in Ogliastra from June 16th to 21st, 2019. Sign up by January 15th, 2019! Subscribe now Fill in the form to sign up to participate in "Rally di Sardegna 2019 Mountain Bike"